Launched by the largest animal rights organization, People for the Ethical Treatment of Animals (PETA), the World Vegetarian Week is celebrated this year globally from May 19-25. 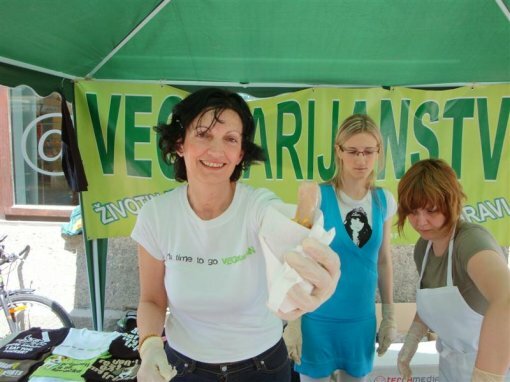 Animal Friends, as an organization for the promotion of vegetarian lifestyle, will mark the World Vegetarian Week by organizing tastings of vegan hot-dogs in Osijek, Slavonski Brod, Split, and Zagreb! 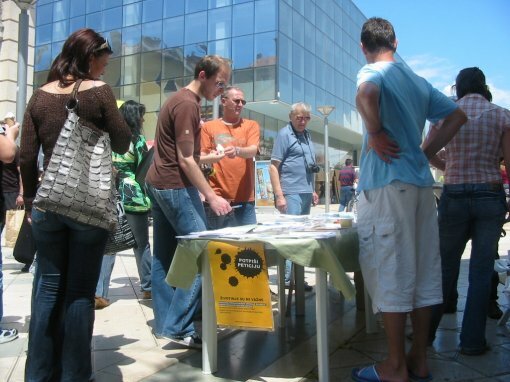 The tasting in Osijek will take place on Tuesday, May 20, at 12:00 noon at the Freedom Square. 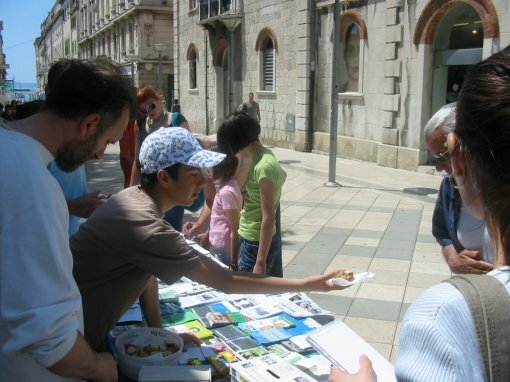 In Zagreb it will take place on Saturday, May 24, at 12:00 noon, on the corner of Varsavska ulica and Petar Preradovic Square, as well as in Split in Marmontova ulica and Slavonski Brod on Korzo. Becoming a vegetarian has never been easier, which is evident from the fact that more than 150,000 Croatian citizens and million people around the Western world are vegetarians. Hundreds of vegetarian and vegan cookbooks have been published, with mouth-watering, aromatic and colorful recipes. There is an increasing offer of vegetarian products in chain stores, supermarkets, corner shops, restaurants, pizzerias, fast-food chains, pastry shops, bakeries, etc. Even though it is still insufficient, Croatian cities have been gradually joining the trend present in some of the largest cities in the world, such as New York, London, Vienna, or Berlin. Today, one can find a considerable offer of vegetarian and vegan sausages, salamis, hot-dogs, fritters, steaks, cheeses, yoghurts, milks, puddings, sandwiches, and pastries in Croatia, which should satisfy even the most fastidious gourmets. Many people are already acquainted with the nutritional and ethical advantages of vegetarian lifestyle, but one should keep in mind that it is also a solution for global problems such as famine and environmental pollution. The huge demand for meat and meat products kills more than 55 billion farm animals yearly. To be able to feed all these animals, it is necessary to use large amounts of pesticides and artificial fertilizers in order to produce the required amount of grains. Moreover, the limited resources of drinking water are overexploited, which causes the underground waters to dry up. The arable surfaces used to produce food for these animals could be used for the production of human food and could feed three times more people globally than there are today on planet Earth. Intensive cattle breeding produces large amount of methane, which is emitted into the atmosphere and results in 40% more global warming than that which is caused by all global traffic together, while the continual destruction of forests in order to create new pastures and arable land is going on even while you are reading this text. Sustainable food production would exclude breeding animals for food, which would preserve bio-diversity and at the same time ensure a sufficient amount of food for all people and all the wildlife. With our World Vegetarian Week campaigns, Animal Friends wishes to draw public attention to the advantages of the nutritional choice that we can make. Animal Friends wishes to encourage Croatian citizens to buy vegetarian products and enjoy the tasty and imaginative cruelty-free recipes, and Croatian shop-owners to enlarge their offer of vegetarian food. Animal Friends also wishes to encourage the Croatian media to speak openly of a vegetarian/vegan lifestyle and its advantages for ourselves, for the planet on which we live, and for the animals we share this planet with. This approach will make us feel good – inside and out! For more information on meatless nutrition, please visit www.prijatelji-zivotinja.hr, www.vegekit.com, www.masovnoubijanje.com.